Plenty of ways bring you to Mongolia and get around once you are here in our country by AIR and by TRAIN. The most of visitors to Mongolia arrive by air. 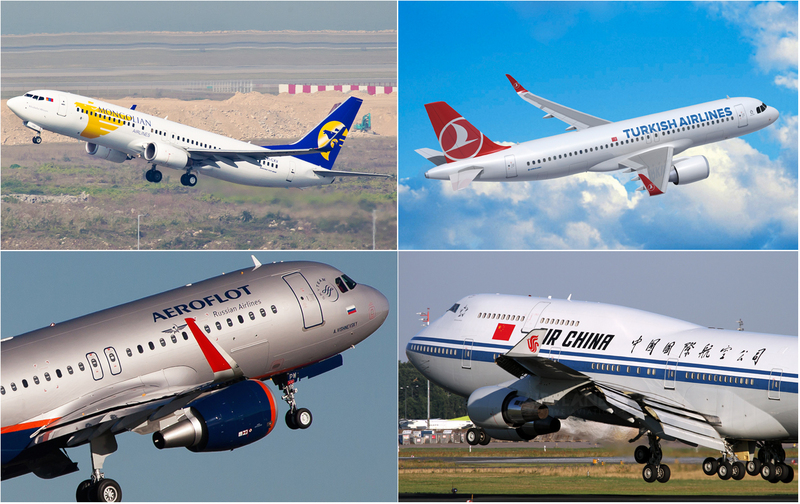 Mongolian national airline MIAT headquartered in Ulaanbaatar and operates international scheduled services from its base at Chinggis khan international airport in Ulaanbaatar to Beijing, Hong Kong, Seoul, Tokyo, Osaka and Berlin via Moscow. Also, Turkish airline operates from Istanbul to Ulaanbaatar flights 3 times in a week. The most famous railway runs from Moscow through to Beijing, passing through Mongolia.You can start your trip at any of these points. We, Travel to Nomads located in Ulaanbaatar and able to book the cheapest air tickets to Mongolia for you from all over the world.